With the days getting longer and the weather getting warmer, amusement park season is right around the corner. And while many might think of places like Disneyland and Canada’s Wonderland as prime park destinations, a brand new ranking has put Vancouver’s own among the best amusement parks in North America – when it comes to affordability, that is. The new ranking comes courtesy of HomeToGo, a vacation rental search engine, which released what it calls its Amusement Park Price Index. “Everyone knows where to find the biggest parks, but those often come with a huge price tag,” said HomeToGo’s Joanna Booth. 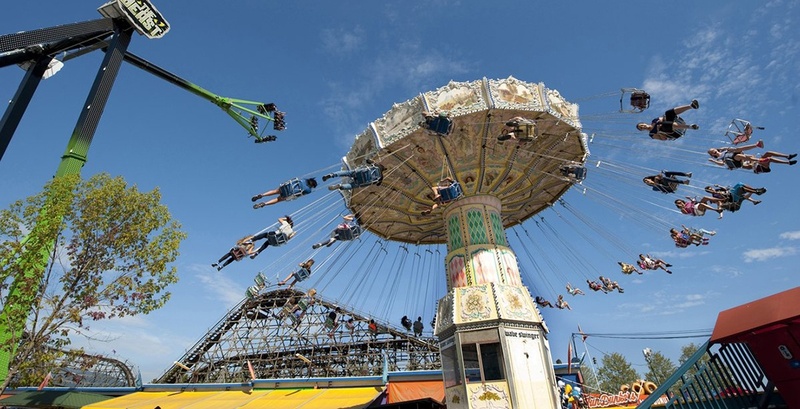 The East Vancouver amusement park found itself in the 17th spot out of a list of 50, sandwiched between Six Flags Darien Lake in New York, and Kings Island, Ohio. The ranking broke down the price of each place, based on various factors, including the price of a ticket, parking, a meal, and nearby accommodation. In total, HomesToGo said someone expecting to visit Playland for a day should bank on spending $156.62. By comparison, Disneyland itself ranked 43rd on the list, with the cost for a day of fun there totalling $304.63. Playland opens its doors this season starting on May 4th, for weekend operation. There are over 35 rides and attractions to enjoy, 14 of which offer an extreme experience for those who dare to ride them. Other attractions include long-standing fan favourites, including the Hellevator, the Wooden Roller Coaster, and of course, The Beast – the massive pendulum that stands at 12 storeys tall and swings at speeds of 90 km/h. New to this year, Playland’s Pacific Adventure Mini Golf is now free with admission. Revelation, Drop Zone, and Haunted Mansion are not included and have additional add-on fees. Let’s hear it for the wooden roller coaster!